Many women who are pregnant suffer from nausea and frequent vomiting. When this condition becomes too severe for expectant mothers, doctors often prescribe something to help prevent the symptoms. One of the most prescribed drugs has been Zofran. Zofran was touted to block nausea and vomiting signals that are sent to the brain. Although Zofran was approved by the FDA to treat the symptoms of nausea and vomiting in patients undergoing chemotherapy as well as some patients undergoing certain types of surgery, many doctors also prescribed the drug to treat morning sickness in pregnant women. This birth defect is a result of the joints between the bones of a fetus’ skull closes prematurely, before the brain is fully formed. This is a life-threatening condition that decreases a baby’s supply of oxygen after birth. Before the baby is born, their blood circulation is different. When born, their circulation does not change to what a normal newborn should have. Lung damage occurs when a ventricular septal defect in the heart creates too much pressure in the lungs. Jaundice in a newborn whose mother took Zofran can indicate serious liver damage, affecting a newborns ability to break down and remove toxins from its body. Defects of the kidney are due to “obstructive defects of renal pelvis and ureter”, which cause kidney failure. During pregnancy, the fetus’ feet are rotated at the ankle, resulting in one or both feet being both smaller and shorter than normal. This birth defect can occur anywhere on the baby’s spine and means that part of the spinal cord develops outside of the body. Both of these birth defects are a result of a fetus’ lip and/or mouth do not form properly in utero. Zofran may be the cause of many other internal malformation. If your child was born with any type of defect, while you were taking Zofran, contact our skilled lawyers who can help you determine if you have a case. The maker of the drug, GlaxoSmithKline has been accused of marketing Zofran to pregnant women and paying health care professionals to prescribe it. The Department of Justice sued GlaxoSmithKline for unlawful promotion and failure to report safety findings. In 2012, Glaxo agreed to pay $3 billion to resolve charges related to illegally promoting Zofran to treat morning sickness. In the past few months, families with babies who suffered from birth defects are suing GlaxoSmithKline because the drug’s label never contained any safety warnings about congenital abnormalities. So far, at least three lawsuits have been filed against Zofran, alleging the drug can cause severe birth defects in children whose mothers were prescribed the medication during their first trimester to control morning sickness. The first case was filed in February in the U.S. District Court, Eastern District of Pennsylvania, by a woman who says she was prescribed Zofran during her two pregnancies, and both children were born with heart abnormalities. Shortly following the Pennsylvania woman’s claims, two other lawsuits were filed with similar allegations. Glaxo released a defective drug to the public. Glaxo had a responsibility to make certain Zofran was safe before allowing public consumption, but failed to determine safety risks. Glaxo did not warn patients of its potentially dangerous side effects. Glaxo advertised Zofran as a safe drug for treating vomiting and nausea for expectant mothers, even though it was not approved by the FDA for this use. Glaxo tested the drug on animals and deemed it safe for human consumption, but test results showed abnormalities and signs of toxicity. Our firm has received several inquiries regarding this medication and pending lawsuits. Because of this, we felt the need to educate the public about this drug and its potentially dangerous effects on newborns. If you or a loved one were prescribed Zofran during pregnancy and a child was born with a birth defect, you need to contact us immediately, as we’re in the process of researching and intend to file claims for clients. Your case deserves to be heard, and you deserve to be compensated for medical expenses (including future medical expenses), lost wages, and pain and suffering. We believe in fair and just compensation for everyone who has been negatively affected by this drug. Please contact us so we can help you and your loved ones receive the justice deserved. 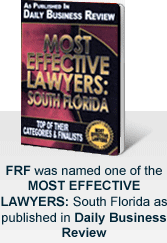 Call us at any time to speak with a live attorney at 305-448-8585 or toll-free at 877-448-8585.